You've found the “U.S. 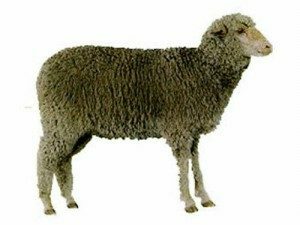 Debouillet Sheep Breeders” page here at Hobby Farm Wisdom! If this is the first time you have visited our site: Welcome! Considered one of the most rare sheep breeds, Debouillet sheep are originally from New Mexico and a result of crossing a Rambouillet and a Delaine Merino. These sheep are well adapted to the south-west U.S. Rams can be horned or polled but the breed is mostly considered a “ewe breed”, preferred for their wool, lamb production and strong maternal instincts. Debouillet sheep are medium sized and display white faces and wooly legs. Their wool is long and fine and can produce fleece that weighs between 10-18 lbs with a staple length of 3 to 5 inches. Ewes can weigh up to 160 lbs and rams will weigh between 175-250 lbs.